We value you and the work that you do in the St. Louis community second to none. 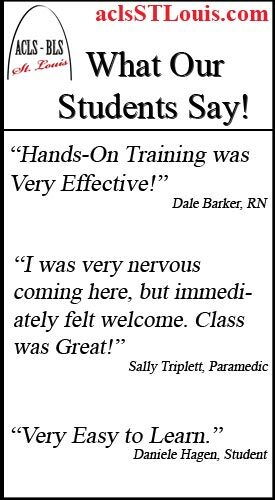 We strive to provide you with the best possible training available. 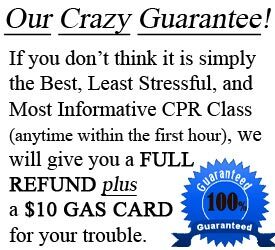 We take great pride in offering the very best CPR classes in St. Louis. 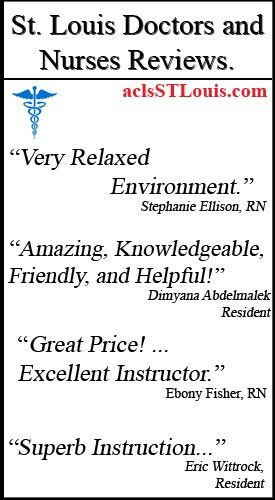 See how others Review Us. 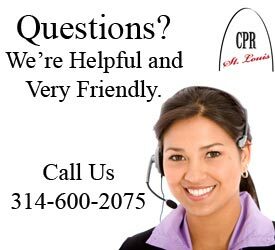 CPR St. Louis offers American Heart Association (AHA) certified classes in the St. Louis, MO region. 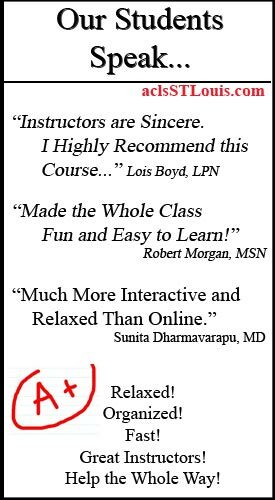 We provide stress-free classes to healthcare providers that include Basic Life Support (BLS), Advanced Cardiac Life Support (ACLS), and Pediatric Advanced Life Support (PALS) classes. We also offer the HeartSaver® CPR and AED training course which is a basic CPR class for non-healthcare related individuals, such as personal trainers, coaches, teachers, day care centers, local corporations that want their staff to be trained in CPR and AED, and anyone else who wants to be CPR certified in the community. 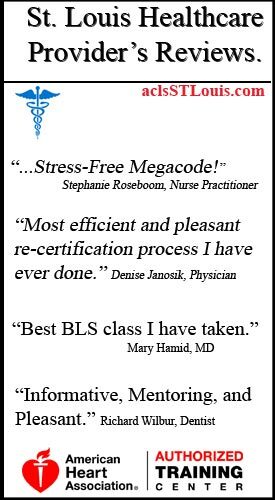 We certify all healthcare providers such as nurses, doctors, paramedics, radiologists, therapists in all fields, pharmacists, etc. We also provide the Basic Life Support course for healthcare providers that is required for many healthcare and medical related school programs, such as in nursing school and medical school. You can reach us at info@aclsstlouis.com or 314-600-2075.